Great team. Great values. Great benefits. We are proud of the rates of pay that we offer our employees. Rates of pay are based on education and experience. Our staff also receive direct deposit after 90 days of employment. We care about the future of our staff, which is why we offer a 401k retirement plan through AXA Financial after 1 year of employment. We will match your contributions up to 4% with no vested interest; it’s yours right away. Health Insurance can be a stressful topic. We want to make it easier for you. We offer all eligible full time employees Medical, Dental, and Vision Insurance. We value loyalty and longevity, which is why we celebrate YOU for every year we work together. You are evaluated annually, which comes with a bonus & wage increase based on time with the company and score on the evaluation. We also reimburse you for the miles you drive while you are shift. And the perks keep on coming…As a Team Member at Compass, you can enjoy a FREE COSTCO Membership when you reach 1 year with us! It’s our desire that everyone finds the place where they belong, which is why we have promotion tracks. When hiring for management positions, we prefer to hire within. Starting out in an entry level position may be the best thing for you. We make it possible for you to promote to higher positions within 6 months. We believe growth is essential for anyone that desires to succeed in life. Because of this, we offer free online trainings for all Compass staff. We want you to be successful. Completing these trainings also helps you become eligible for a promotion! 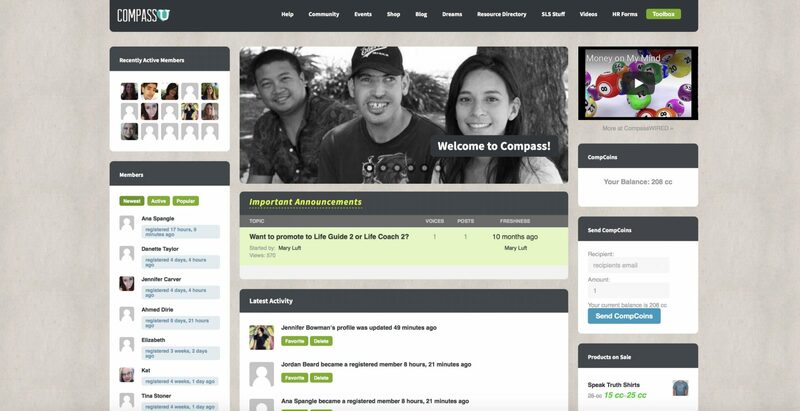 As a Compass Team Member, you can join our online network…Compasslovesu.com. This is a platform for us to stay connected and where you can earn points! Your points can be redeemed for gift cards, Compass Swag and other items. Lastly, our staff have access to Monterey Bay Aquarium tickets for themselves and their family members! Enjoy a day of family fun on us! These tickets are available after 90 days of employment. 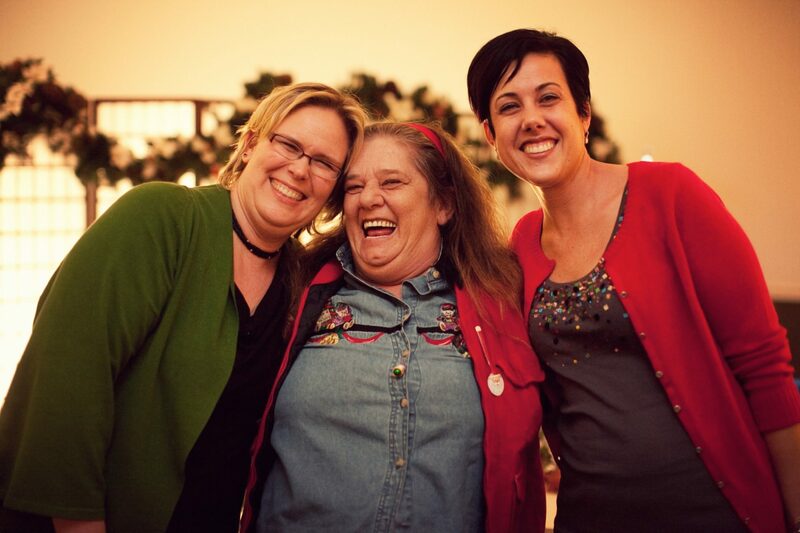 At Compass, we build, support and encourage each other. See our list of benefits above. Either 90 days or 1 year depending on the benefit. WHAT ARE YOUR OPPORTUNITIES FOR GROWTH AND PROMOTION? It is our desire that everyone at Compass has the opportunity to grow and we have several training tracks for team members. Direct care staff can promote though our online and in-person training programs. We prefer to hire management positions from within and therefore, always start by opening up the opportunity internally. Lastly, we host “Promotion Seminars” every year that give our staff on opportunity to explore their options at Compass and qualify for education scholarships. WILL THIS JOB WORK WITH MY SCHEDULE AS A PARENT? We hire people with all kinds of schedules. We have full time and part time work available and we will do our best to find a fit that works for us and you. I DON’T HAVE A DEGREE, WILL I STILL QUALIFY TO BE A LIFE COACH? We believe in education and encourage all of our staff to pursue it for the sake of growth. However, you do not need a degree to qualify for the Life Coach position. HOW OFTEN WILL I BE EVALUATED ON MY PERFORMANCE? Employees are evaluated annually (once a year) during the month that they were hired. Employees with a passing evaluation will receive a bonus and a raise. SLS field staff report to Case Facilitators and ILS Life Coaches report to ILS Managers. WHAT IS COMPASS CULTURE LIKE? Our culture is built on our 7 core values: Community, Honor, Excellence, Freedom, Trustworthiness, Generosity and Faith. Through these values we build, support and encourage each other and our clients. We do not shy away from feedback and we take every opportunity to point out the good in each other. We want our staff to be equipped and have the training they need to be successful. Upon hire, you will go through our Foundations training program which is an extensive program combining field and office training. We also provide on-going trainings 3 times a year through our All Hands Training platform. If you desire to promote, we will get you started on a training track. WHAT KIND OF SUPPORT WILL I HAVE IN THE FIELD? We are a community that supports one another. Our Case Facilitators and ILS Managers will check in with you at least 2-3 times a month, but are available well beyond that if needed. We also encourage our staff to make connections with other team members in the field. Team members can request time off through their supervisor. Our pay periods are two weeks long and are paid out a week after the end of the pay period. There are many opportunities for growth and promotion at Compass. To make those opportunities accessible for our staff, we host promotion seminars every year. The purpose of these seminars is to connect with our staff and learn about what it is they want to do at or even outside of Compass. We want our staff to find their seat on the bus even if it’s not our bus. The Promotion Seminar is also where we offer our education scholarship. You can receive up to $1,000 towards your education! Compasslovesu.com is a website we created to stay connected, provide resources, and express generosity towards our staff. It is web-based platform where you can educate yourself, shop and make new friends. Our online store is stocked with Compass Swag, books and gift cards. We’ve had staff buy $300 worth of gift cards! 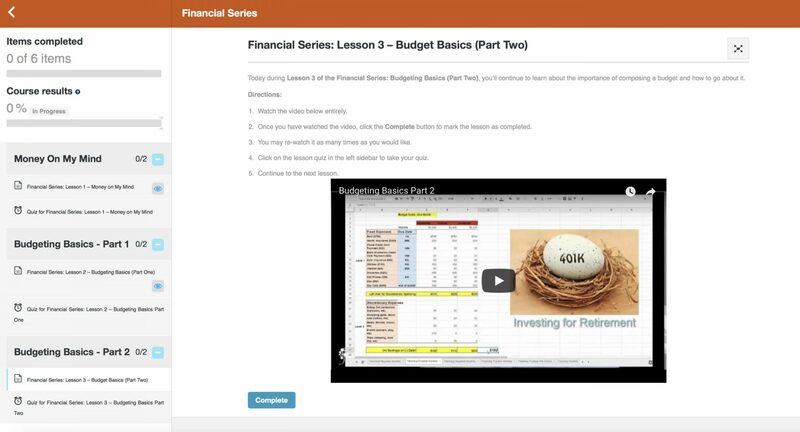 In our Toolbox, you can find a wealth of resources and our online training program called CompassWIRED.